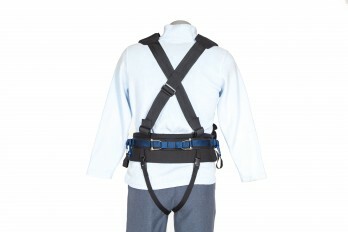 The Harness Bottom comes standard with our easily-detachable leg loops. It includes four buckles that can be used to attach a set of our shoulder straps (or to make your own). 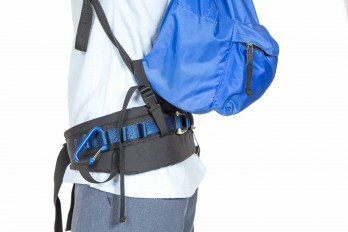 These top buckles also make it quite easy to create your own custom day pack strap to connect the harness to your pack. Click here for sizing information. The Harness Bottom is the most versatile choice. 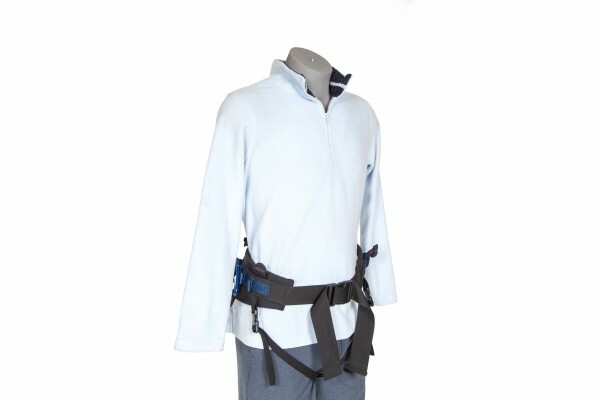 It comes standard with our easily-detachable leg loops which are popular with those who have concerns with the harness riding up their hips onto their waist (especially women). 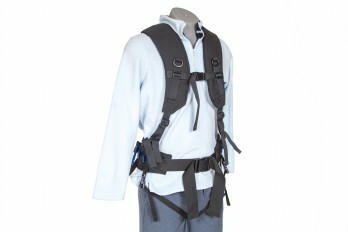 On this harness we have replaced the day pack attachment straps with four buckles that can be used to attach a set of our shoulder straps (or to make your own). 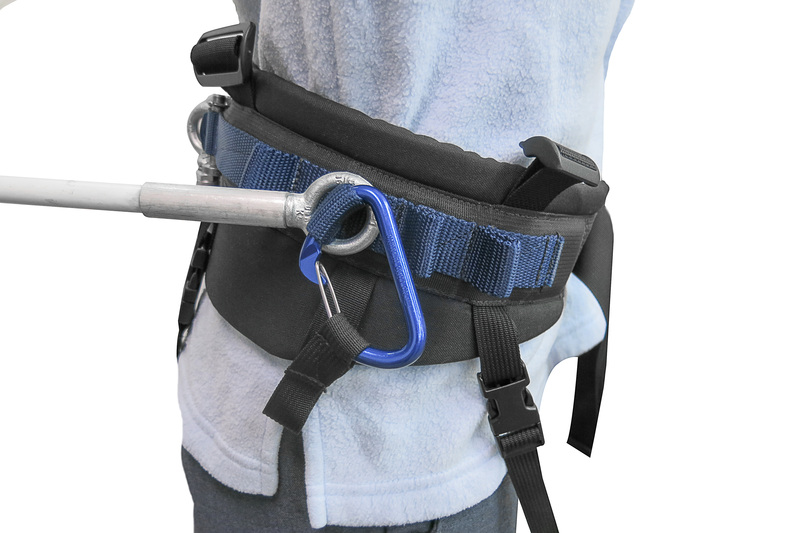 These top buckles also make it quite easy to create your own custom day pack strap to connect the harness to your pack. 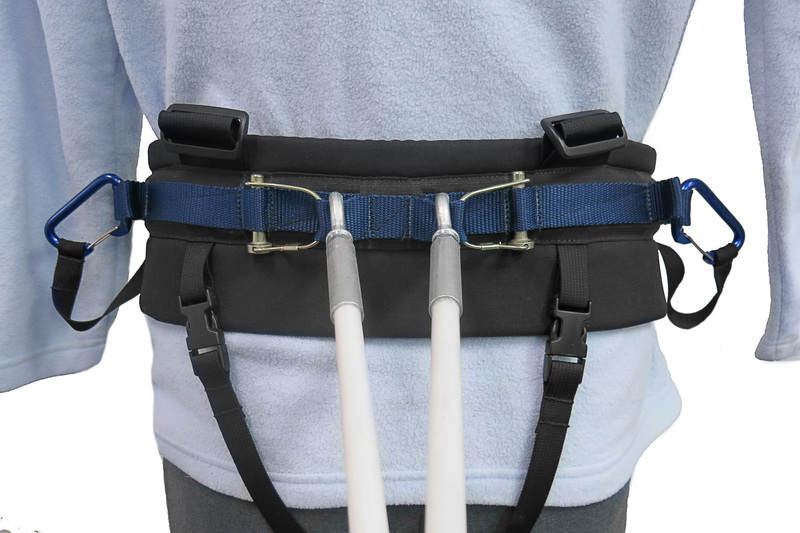 All SkiPulk.com belts (besides the Expedition Harness) have multiple pole attachment points that allow the poles to be securely tethered to the widest point of your hips with minimum “slop”. All of our harnesses start with 1/2″ of top rated MiniCell foam and enclose it in a 500 denier Cordura Nylon coated cloth. 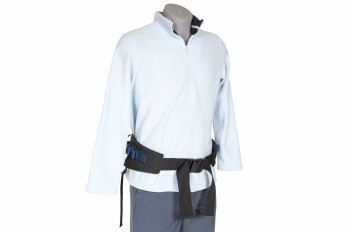 In order to reduce winter breakage, all buckles are made from acetal by top rated Duraflex. 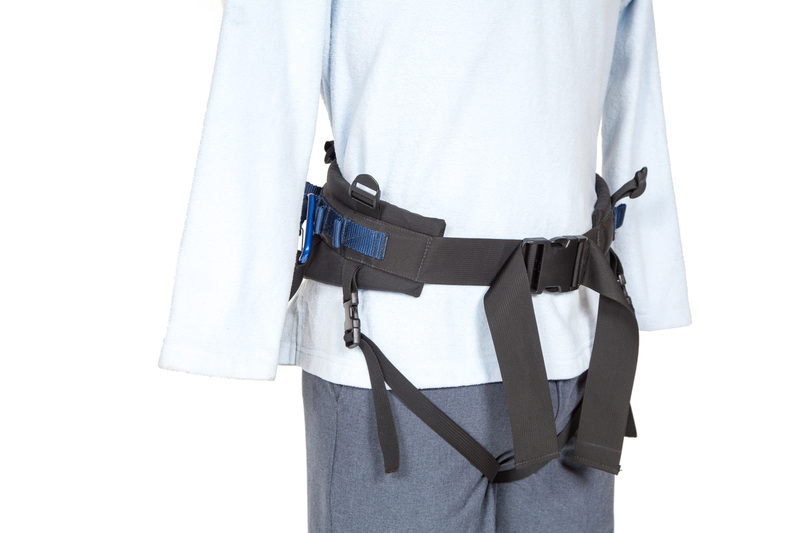 For added security, there’s 2 inches of continuous nylon webbing around the harness belt.